Peter B. Canalia is a 1965 graduate of Rose Hulman Institute of Technology in Terre Haute, Indiana with a Bachelor of Science in Mechanical Engineering. Mr. Canalia is also a 1970 graduate of John Marshall Law School with a Juris Doctorate, being licensed in the State of Illinois in November, 1970 and the State of Indiana in February, 2011. Mr. Canalia has practiced law in the Greater Chicago area for the last forty-eight (48) years, concentrating in the area of estate planning and real estate law. Mr. Canalia is a member of the American Bar Association, Illinois State Bar Association and the Lansing Bar Association. Mr. Canalia has served on the Illinois State Bar Association Real Estate Section Committee, Illinois State Bar Association Sub-Committee on Condominiums, Chairman of the Chicago Bar Association Sub-Committee on Commercial Condominiums and has worked in the past with the Chicago Bar Association in its review of the Uniform Condominium Act. Mr. Canalia also served as a member and ultimately chairman of the Illinois State Bar Association Animal Law section council where he spoke extensively regarding Pet Trusts. Mr. Canalia also represented the Illinois State Bar Association as its representative to the Illinois Broker-Lawyer Accord in 1982 and 1983. Mr. Canalia has served as a Commissioner for the Will County Illinois Regional Planning Commission and Zoning Board of Appeals for ten (10) years. Mr. Canalia was appointed by President Bush as a local member of the Selective Service Board 154 in 1991. 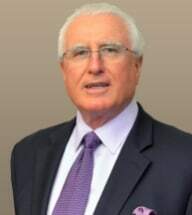 Mr. Canalia is currently an active volunteer spokesperson at community functions and area seminars on estate planning including wills and trusts. The preparation of wills, trusts and estate plans for married couples, single parents and senior citizens constitutes ninety percent (90%) of his practice. Peace of Mind Pet Trust, Inc.